This word comes courtesy of the Italians, who adapted it from the Latin word porticus, basically meaning “porch.” It describes the roofed entrance to a building that is supported by columns and often having a pediment. It can either be completely open or partially enclosed, and it can be modest in size (only as narrow as a doorway) or feature a significant colonnade (as wide as the entire building). 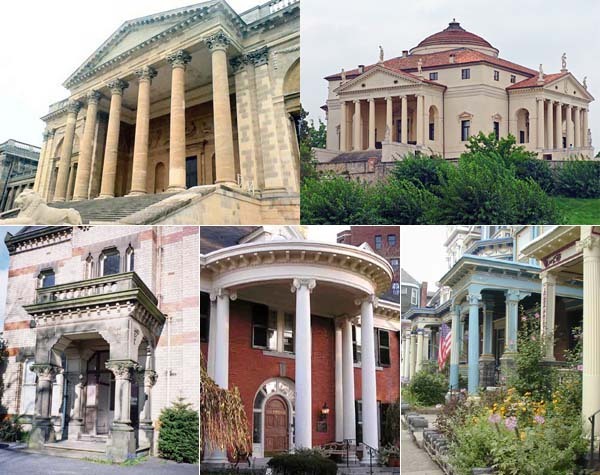 Note: If you want to get technical, the number of columns making up a portico determine its specific name: tetrastyle (four columns), hexastyle (six columns), octastyle (eight columns), and decastyle (ten columns).